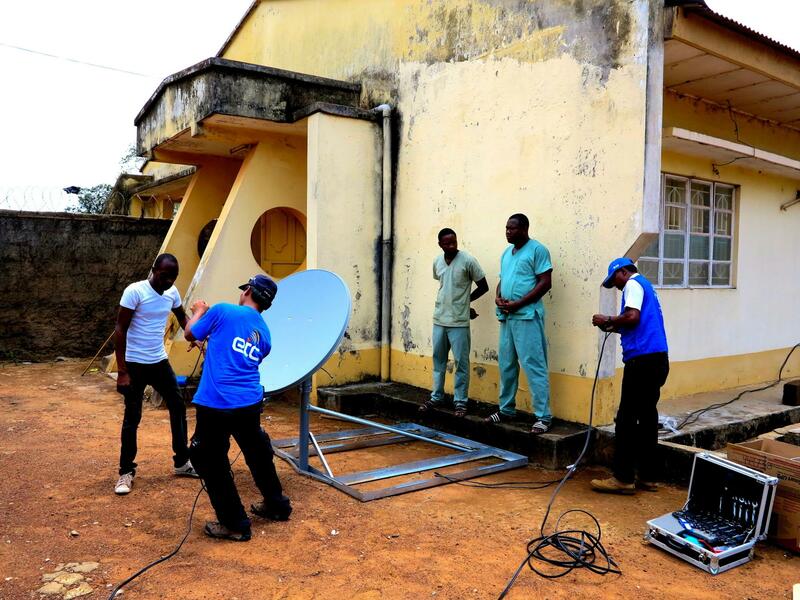 ET Cluster team installing VSAT at a laboratory in Kambia district, Sierra Leone. Health workers in an Emergency Treatment Unit - the frontline of the fight against Ebola. 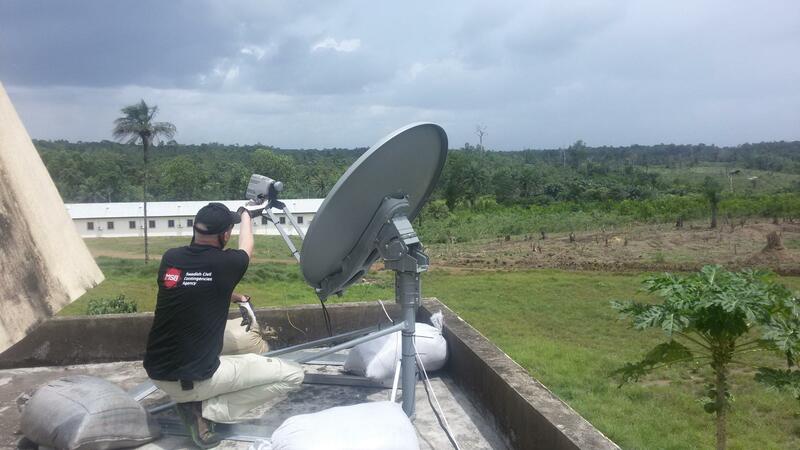 ET Cluster satellite installation in Sierra Leone. 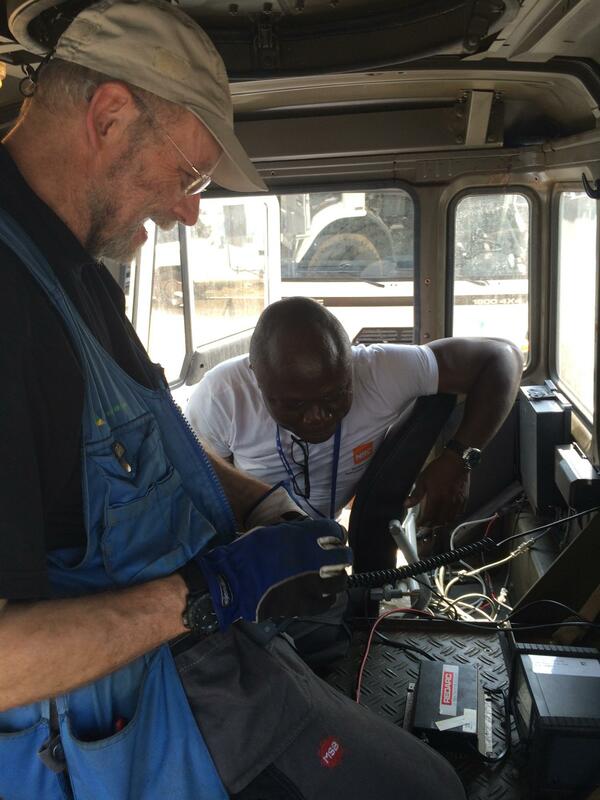 Security communications systems were installed in trucks during the Ebola emergency to support the security of teams in the field - Monrovia, Liberia. 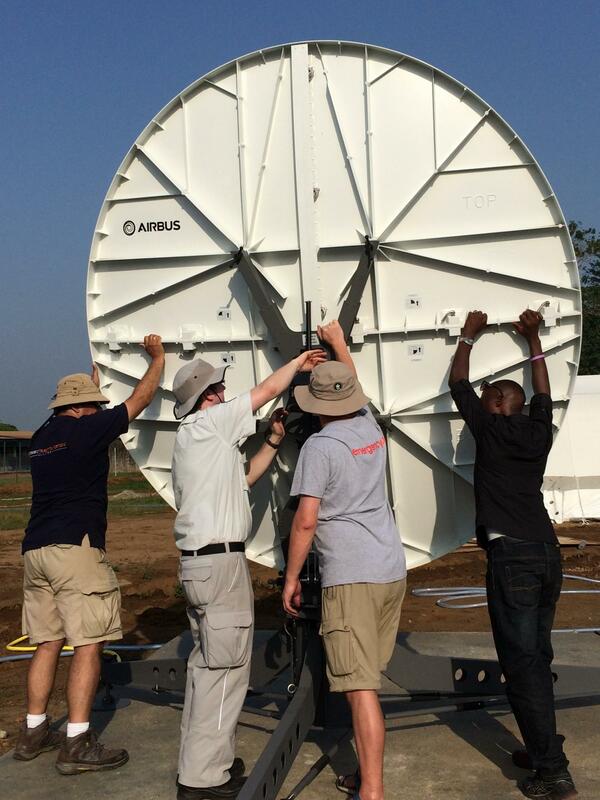 Responders from ET Cluster member Swedish Civil Contingencies Agency (MSB) installing a VSAT at Sinje University of Liberia. 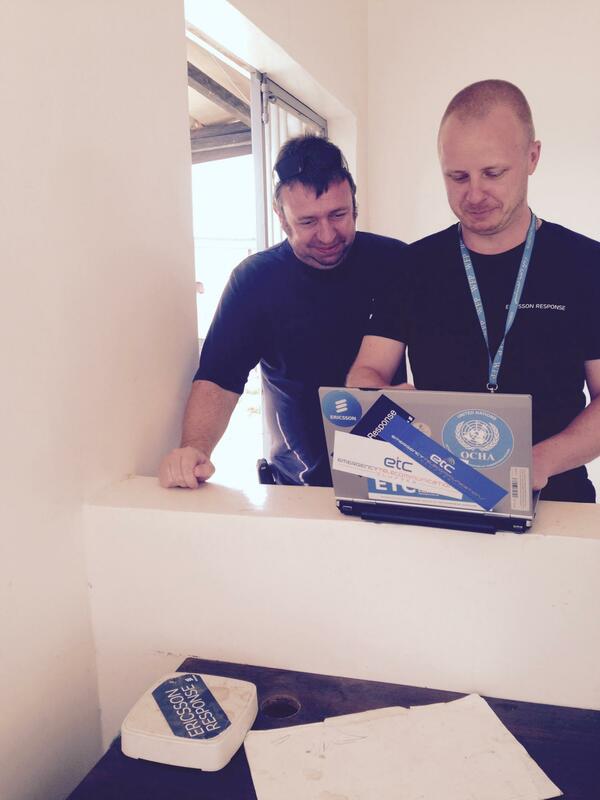 Marta from ET Cluster member Ericsson Response configuring point-to-point link in Kambia, Sierra Leone. emergency.lu Rapid deployment kit from ET Cluster member, Government of Luxembourg, provided high-speed internet connectivity to the response community. Rami from WFP FITTEST was ET Cluster Coordinator for the Ebola Response in the region. ET Cluster responders in an Emergency Treatment Unit in Nzérékoré, Guinea. Responders from Ericsson Response testing the internet connection. Response teams representing several organisations worked together on the ET Cluster response, combining technologies and adapting to the challenges of this emergency, supporting the fight again Ebola. After 16 months, the Emergency Telecommunications Cluster (ETC) was able to demobilise services in West Africa at the end of January 2016, handing service provision back to local, commercial providers.